We started the second group of the Blogging Marathon. I planned to make Crunchy Snacks for Kids, with the hope of sending it for this month’s edition of Kid’s Delight, guest hosted by Gayathri. I am not sure if not for the BM I might get myself do it. 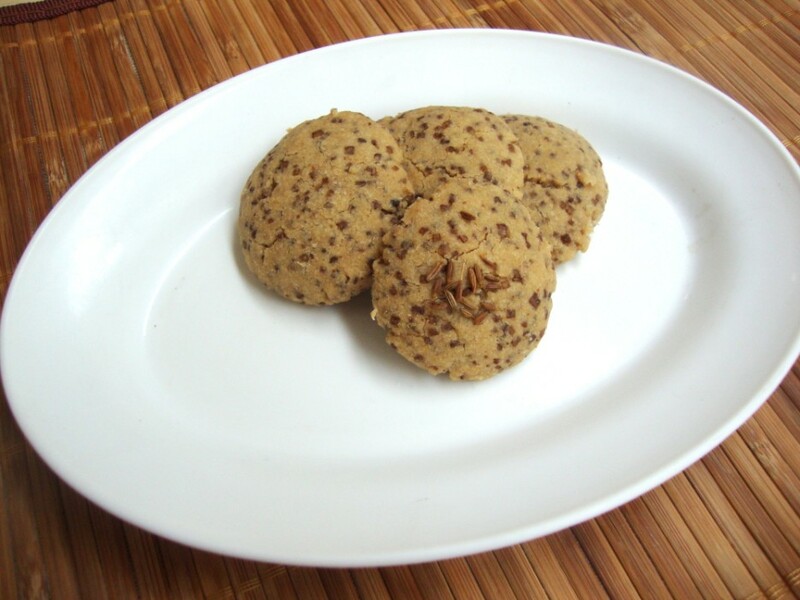 I made these Jeera Biscuits, inspired by Deepika. I read her post the day she posted and had ever since planned to make it. 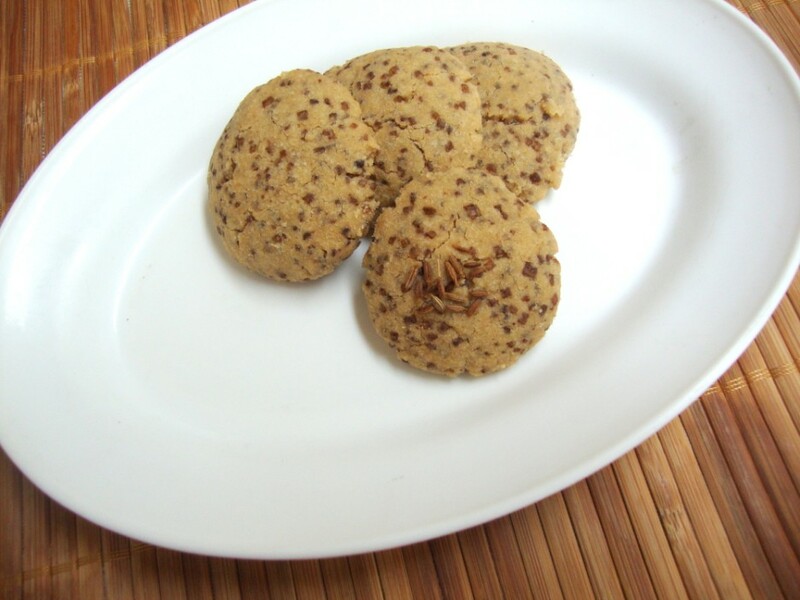 The recipe is so simple and uses whole wheat flour. I was so impressed with the whole thing. Yet it took me many days to finally get doing it. I had made these in the morning, wanted to take these to the Blogger’s meet we had. Priya Suresh came down and some of the Chennai food bloggers met. We had great time eating all the homemade food. But unfortunately I didn’t take these as they were just getting settled and I had taken the final picture. 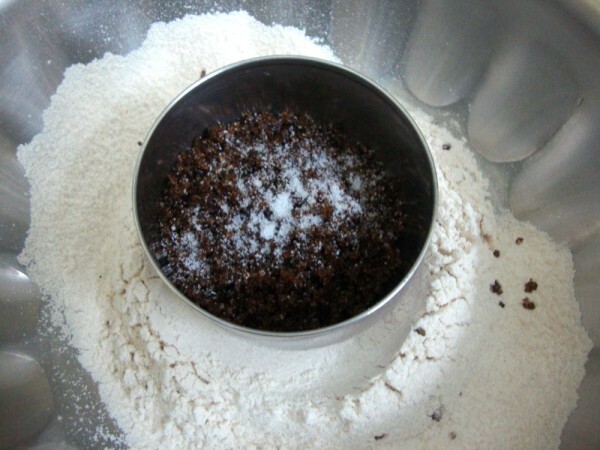 In a bowl, shift the flour with baking powder. 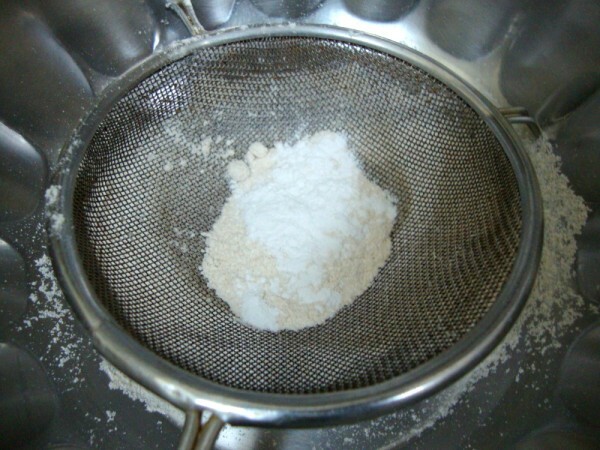 Then mix in the sugar. Mix well. 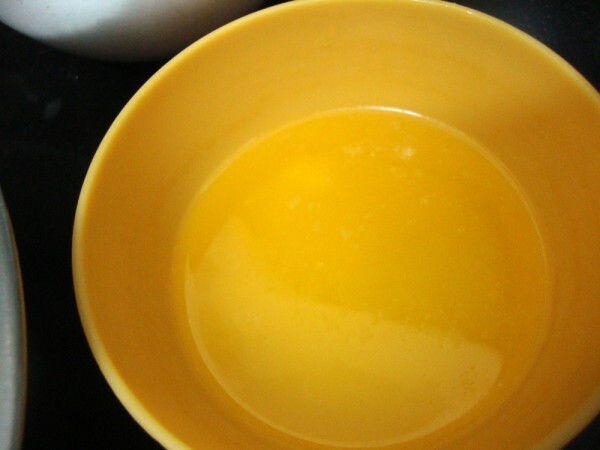 Melt the butter in microwave for 30 secs. 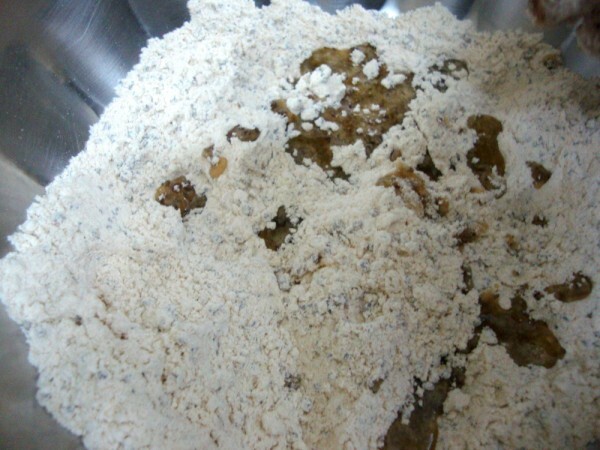 Then slowly add the butter to the flour and knead to a dough. Depending on how it forms a ball, add milk. Mine was fine without adding any milk. Pinch out small balls, press into small discs. 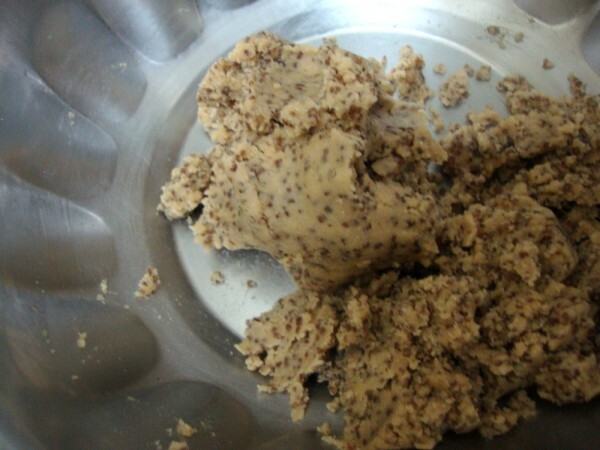 Press the jeera on the top. Pre heat the oven at 170 degree C. Then bake at 170 degree C for 15 mins. Notes: As far as I know brown sugar and Demerara is the same. The granules didn’t get melted, so it gave a good munch when you bite into the biscuits. 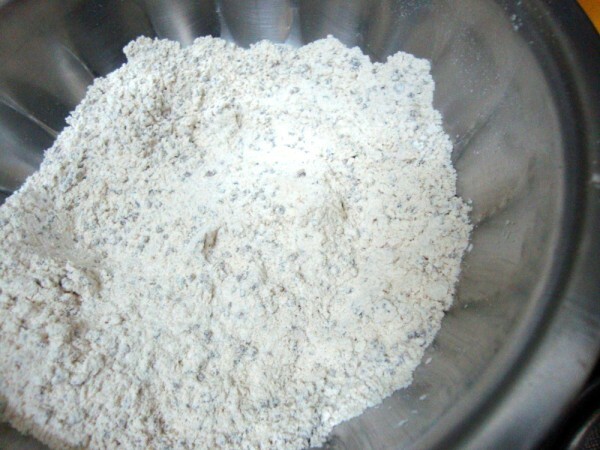 The other recipes I checked were savory with the jeera added to the dough. So will surely do that next time. Sending these to Kid’s Delight, guest hosted by Gayathri themed on Crunchy Snacks for Kids. I was so glad that the Peddu and Konda loved eating these and that I have one more added snack for their school snack box. 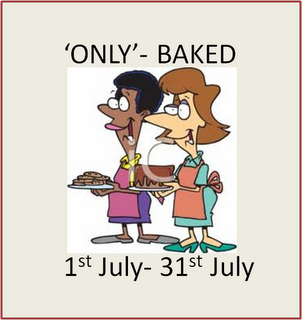 Also to Harini who is guest hosting Pari’s ‘Only Baked‘. never heard of Demerara sugar, can we substitute with jaggery or normal sugar? 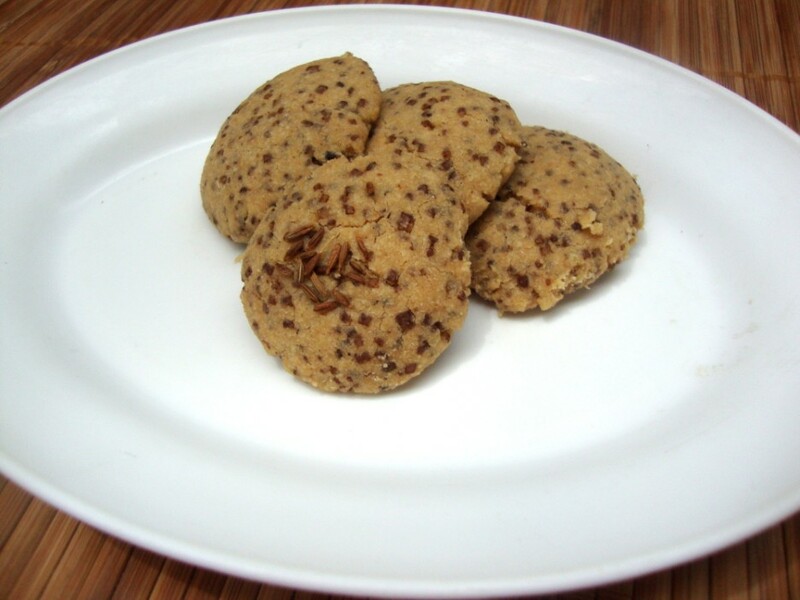 Jeera cookies look flavorful and delicious. Sounds super good and crunchy valli..
Wow! this looks absolutely delicious. 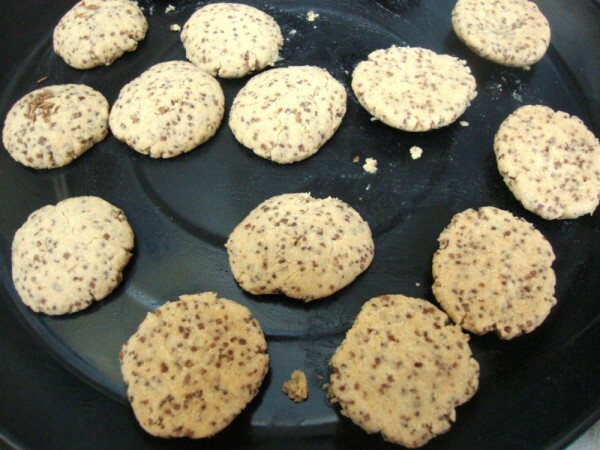 jeera biscuits sound awesome and the fact that they are made with whole wheat flour – sweet! Looks delicious. Jeera pressed to the top gives a nice look to it. 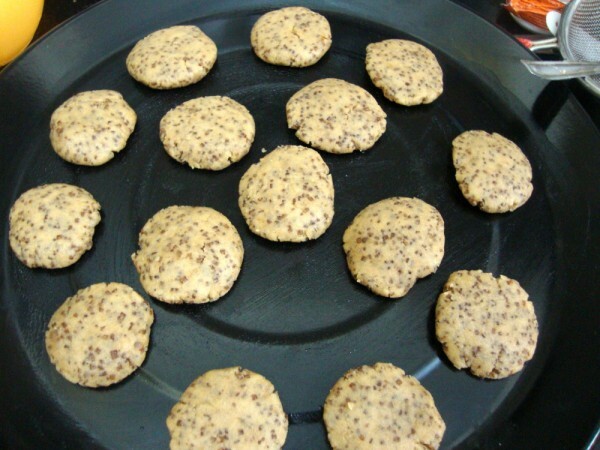 Healthy biscuits. Hope your grandma is doing good now. Biscuits looks super crunchy and very kid-friendly! I love the dotty look of it as well! wow, they look great !!! looks Delicious. Will try this one soon. The picture looks yummy. Nice recipe.